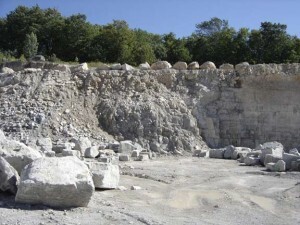 We can supply limestone crushing plant by the capacity of 50-500 tons per day. 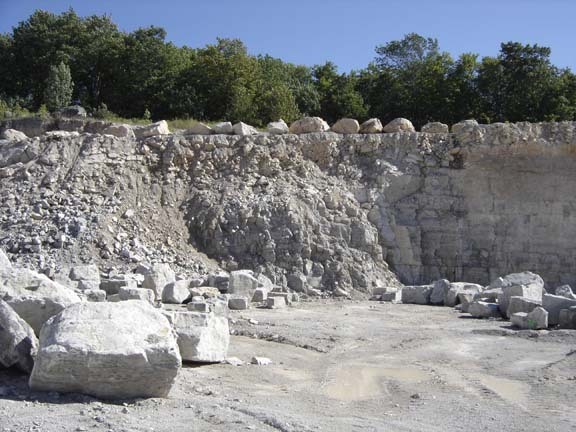 Limestone production flow mainly include: limestone crushing and transportion, raw material pre-homogenizing, raw material preparation, raw material homogenizing, warm-up decomposition, sintering clinker stone crusher, limestone grinding, limestone packaging and so on. In the above proposals, the main difference is the secondary crusher: using impact crusher (hammer crushing principle), or using fineness Jaw crusher (plate pressing principle), or Compound cone crusher (plate pressing principle). 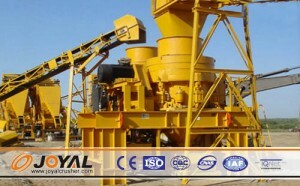 If the local market has not request of the stone shape, users prefer to use fineness Jaw crusher, or Compound cone crusher as the secondary crusher. Because for high hardness stones, the quick wear parts cost of fineness crusher/cone crusher is lower than that of impact crusher. For Jaw crusher and compound cone crusher, the working principle is plate pressing, so the percentage of stones with flaky shape, internal cracks is high. For impact crusher, it has the functions of crushing and shaping, can make very good cubic shape; the stone materials are mainly used for highway, water conservancy, airport, civil construction etc. The market prices of stones made by impact crusher is higher than that by fineness Jaw crusher or compound cone crusher; the quick wear parts cost of impact crusher is also high for high hardness stones. We warmly welcome you to come to inspect our factory, and we would like to design the most suitable proposal as per your requests.